English musician Skepta first teamed up with Nike last year to release a Morocco-inspired Air Max 97 Ultra. Now, we have our best look yet at the grime artists next Nike shoe- the Air Max Deluxe, coming soon. 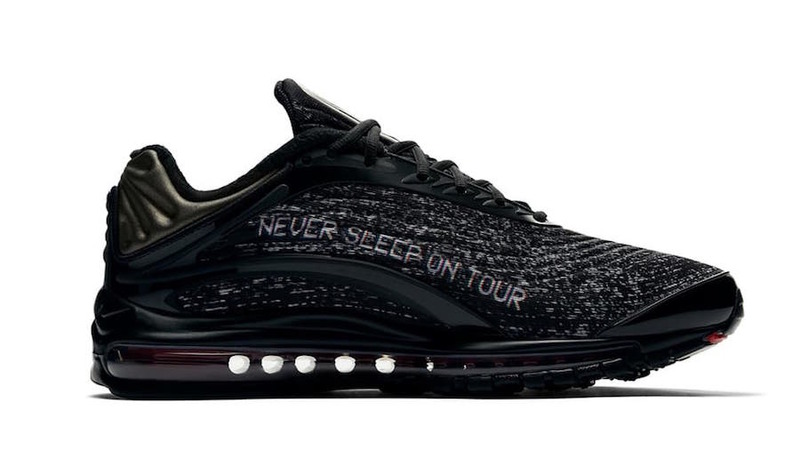 The Skepta x Nike Air Max Deluxe is a well-known secret by now. 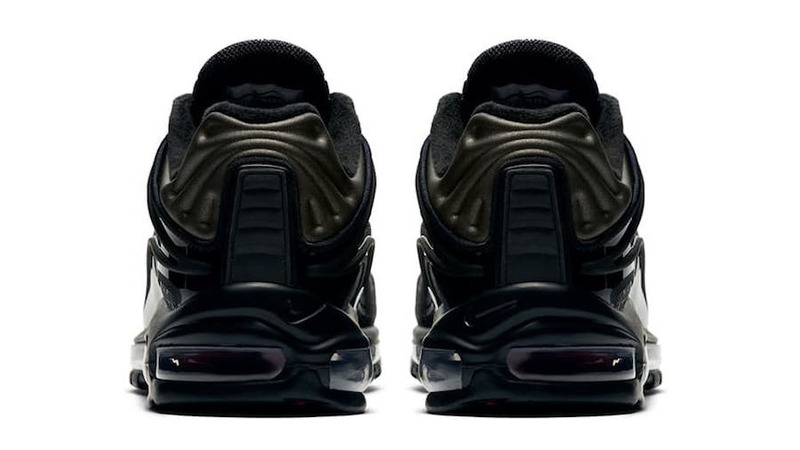 Word of the shoe first leaked online in the early months of the year, when Skepta and Nike dropped their limited edition hybrid Air Max. 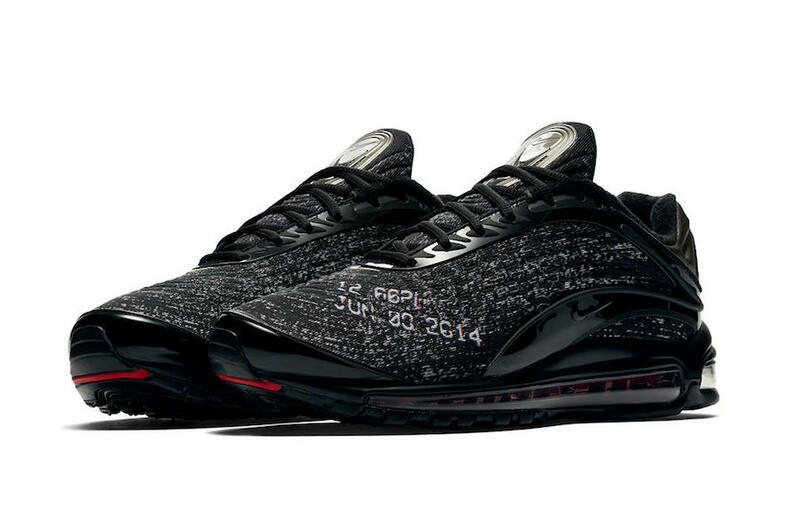 Then, by the beginning of the Summer, established leak account SoleHeatonFeet took to Twitter to announce the existence of the collaborative Air Max Deluxe, along with a preliminary release date. It has been a long Summer of releases since then, with no word from Nike or Skepta on the state of this release. Until now. 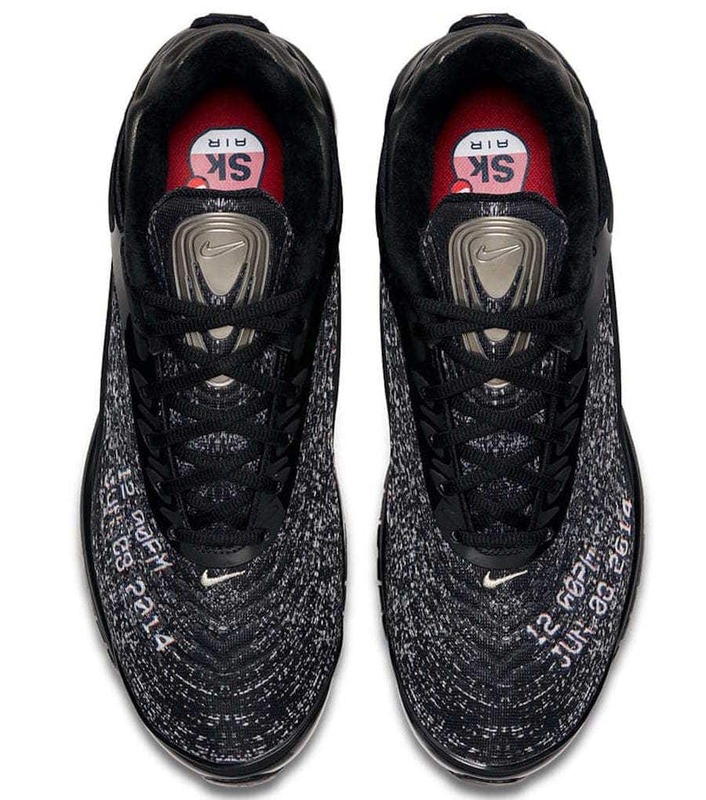 This week, Nike and Skepta took to social media to officially announce their latest collaboration. As expected, the canvas will be the Air Max Deluxe, and the new colorway is just as interesting as we imagined. Themed after the artist’s award-winning “That’s Not Me” music video, the upper of the Deluxe takes on a VCR static-style pattern in black and white. The rest of the shoe is done up in flat black to help accentuate the loud upper. 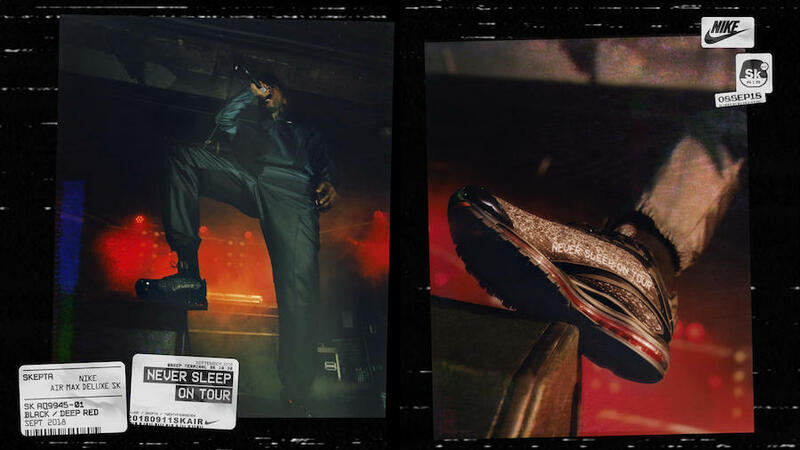 To help finish off this clean new look, a silver Nike badge has been added to the tongue, as well as Skepta’s “Never sleep on tour” motto printed on the medial sides. Skepta and Nike’s latest Air Max collaboration has officially been designated for release on September 8th, 2018. The blacked out Air Max Deluxe will retail for a slightly heightened $190, and launch from both SNKRS and a select few secondary retailers. Check out the official images below for a better look at the new Nike SKAir shoes, and stay tuned to JustFreshKicks on Twitter for more information on where to secure a pair. 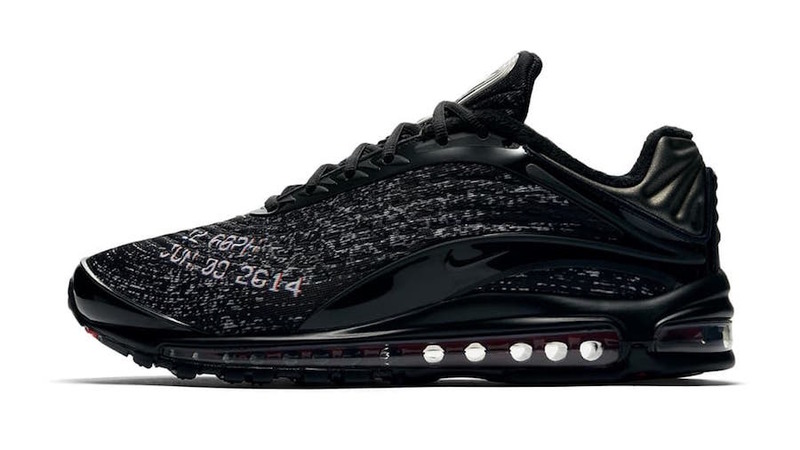 The post Skepta & Nike’s Wild Air Max Deluxe Officially Launches This Week appeared first on JustFreshKicks. Next articleWere You Lucky Enough To Pick Up The Nike Zoom LeBron 3 Christ The King?